Anna was born in Singapore and studied at the Nanyang Academy of Fine Arts (Singapore) in the late 1950’s. 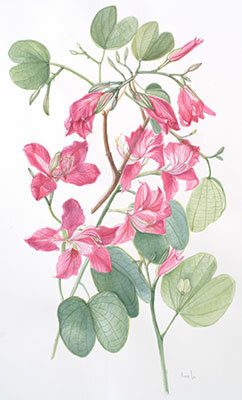 Although Anna is a trained Fine Artist she has always been interested in botanical painting. Graduated in Fine Art (NAFA Singapore, 1962) and London English Gardening School in Botanical Painting – Dip. (Merit), 2004. 1999-2015 exhibited in RHS(UK), awarded total 7 silver-gilts and silver medals. 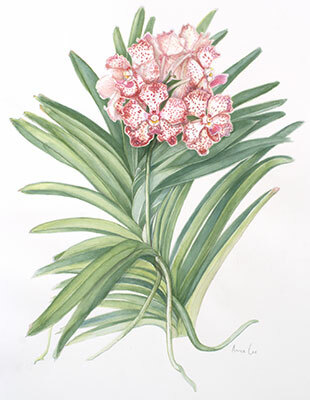 Exhibited at the Society of Botanical Artists, UK. Founder member of Amicus Botanicus (UK), 2004. Group exhibited in Mayfair(London), Wales and Scotland (2008 - 2016). 2014 exhibited at the Friends of the Royal Botanic Gardens, Melbourne (Australia). 2016 auctioned and sold in Edinburgh, UK. 2016 exhibited at the Friends of the Royal Botanic Gardens, Melbourne (Australia).